What do you after you set your goal? What if you know what to do but you aren't getting anything done? Today I'm going to answer those questions and talk about how I use a planner. I know it's February, and most people think about planning and planners and overhauling their habits at the first of the year, but I'll be honest with you: this year I didn't start even THINKING about my new year until January 20th. Between the logistics of a new 2 year old foster placement in my life and the learning curve of toddler parenting, I had no brainspace to spend thinking or planning. And once I started talking about my planning on Instagram (@taraswiger), I started getting questions that I wanted to answer here on the podcast. And hey, these are the questions I'm dealing with right now, as my whole work life is different now that I’m a new mom. In my experience getting things done comes down to three different parts of the process. At least one part of the process probably comes to you very naturally, and you don't have to even think of it. But another part of the process may not feel natural. You may get frustrated because you have such a clear vision about where you want to go, but your days seem to slip past you. Or you may be a pro at checking things of your list, but you feel fuzzy about where it's all going. What you need is to identify how you do all three parts and then focus in on where your system is breaking down. If you just start planning your day or setting goals without a vision for the destination, it will be hard and you'll probably change course often and not make a lot of progress. The clearer you are, the easier this will be, but I don't want you to fret too much over this. The longer you work on your business, the clearer you'll get about your Ideal Destination, and the more you'll know about the business you want. Your vision can evolve as you move along your path. But you do need to spend time thinking about the aspects of where you want your year or your life or the next 3 months to go. What do you want to have more of? How do you want to spend your time? How do you want to feel? The first section of Map Your Business walks you through this. Second, map out the steps to get closer to the destination. Break your destination down into a smaller goal (for the next 3-6 months) and map out the steps you'll need to get there. This is the heart of my book Map Your Business, it has worksheets that guide you through this process 4x a year. I hear from women every day who are using Map Your Business to get clear about where they are in their business and where they want it to go. (I LOVE hearing from Mappers and seeing your posts on Instagram, so if you are using Map Your Business, please tag me!) 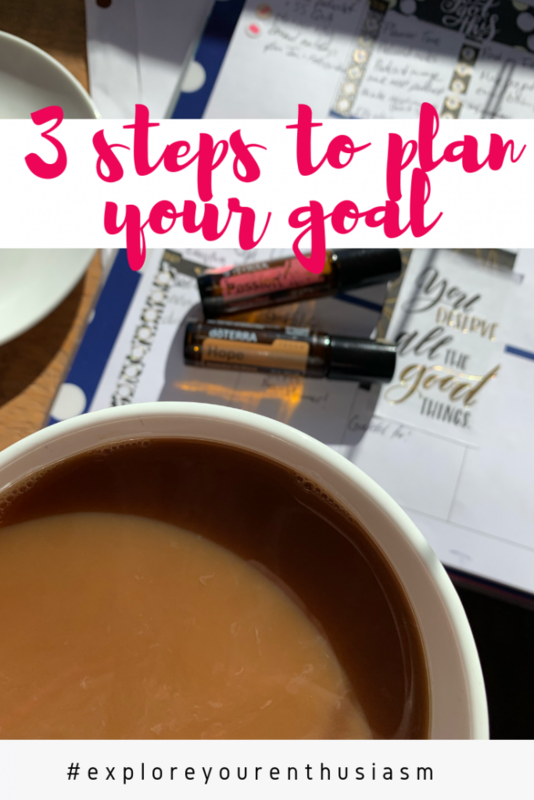 But it's not just about SETTING the goal, Map Your Business walks you through identifying what you'll need to do to reach your goal – the mini-goals you'll hit on the way there, and the actual tasks you'll need to complete. When you're done mapping, you'll have a big to do list that will move you where you want to go. You can't make progress unless you know SPECIFICALLY what to work on. Third, give the tasks a time and space. This can be as free or as structured as you like. There are any number of ways to do this, but for many of the makers I talk with, this is the step they're skipping. They may have done Map Your Business and now they don't actually get the tasks done because they haven't set aside the time and space. The big thing to remember is: this aspect will probably have to change as you grow. For years, I would have the same set workday, and then just take my map to do list and work through it during the workday. Over time I learned I work best when days have a specific focus, like writing on Monday and recording on Tuesday. Within those boundaries, I'd work on my to do list. Now my whole schedule has been blown up by a 2 year old, so I'm rethinking how I do this. Have set work hours and just work down your list during those hours. Time Block your schedule: look at the blocks of time you have and assign the blocks kinds of tasks (the main thing is to STOP doing that task when the block is over). You may get your family out the door from 6-8, workout from 8-9, work on marketing and photography 9-12, then work on production from 1-3. Then family time from 3-8. Your blocks can be tiny (1 hour) or bigger (3 hrs is probably the max for your focus and attention). Plan when you'll do what task at the beginning of the week (useful if your schedule changes a lot). We aren't actually working on what we planned to. Instead of taking photos for Instagram, we're scrolling instagram. Instead of writing the email newsletter, we're looking at our email stats. That's ok! Don't beat yourself up! Just recognize it, identify where you do it, and move on. We haven't written it down. I don't know how you'll keep track of what to work on if it's not written down somewhere visible. You can make a pretty planner, you can use Asana, you can just write a list on a post-it, but I've never met anyone who didn't need SOME way of keeping track of what to do next. If you find yourself NOT working during your work time, stop and write down what you'll do next. It may see silly or unnecessary if you've already written it all down, but this is my quickest productivity hack: I just write down the next 2 things I'll do starting…now. You're not keeping track of all you DO do. Many times I've talked to a business owner who is complaining she never gets anything done and then she tells me about her day and OMG she is DOING SO MUCH. But she's not “counting it”. So start writing down and planning ALL that you do, not just your business or not just the newest goal. Having it all written down in front of you can make you more realistic about the time you have to spend on this new goal and help you celebrate all that you get done! If you liked today's episode but you wanna go WAY deeper into productivity and how to plan a workday that works for you, check out my creativeLIVE class, How to Get More Done. It's 6 hours long with awesome bonuses and worksheets and you can find it at taraswiger.com/time. And if you want to see my own planner system, check out my YouTube channel, my Monday videos have recently been about the systems I have used and how I plan now! Reaching your goals isn't only about having a vision or check lists, it's about both! 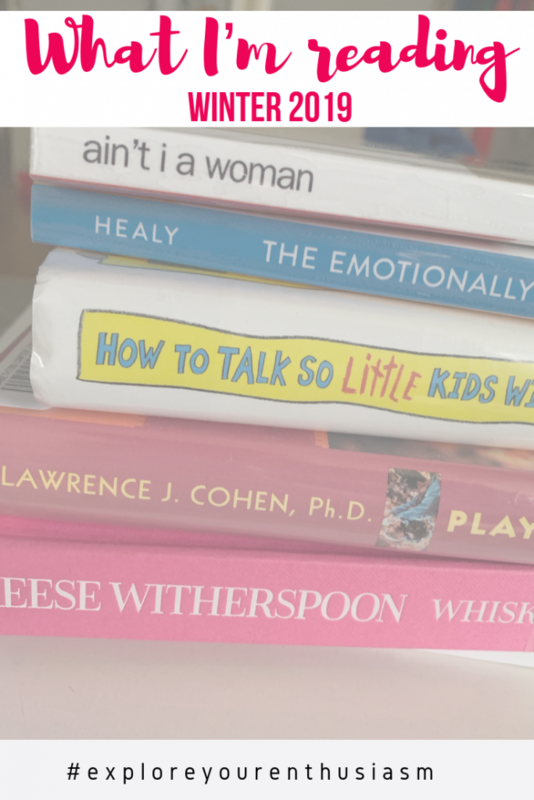 If you're looking to add to your reading list, check out @TaraSwiger's monthly book check-in! This week I'm unboxing my Happy Planner order and showing you how I'm getting started with it all. 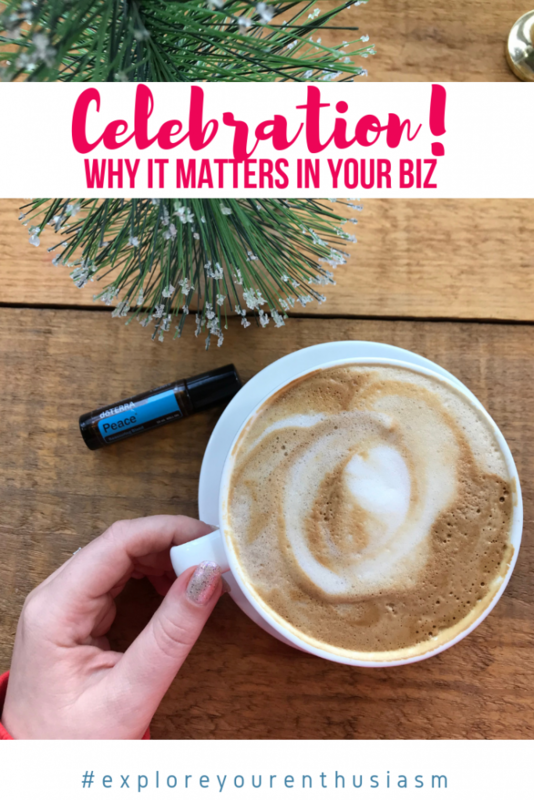 Celebration is SO important for the health of your business. In today's episode I cover the big reasons WHY you need to stop and celebrate and also HOW to celebrate (no, it doesn't need to cost money.) If you look back at 2018 and can't remember what went well or how your business did, tune in to make 2019 a better year. The answer is science: Our brains are wired to have a negativity bias. We notice the negative (bad sales day, unmet goals, cranky customers) MORE than the positive. We give negative feedback more mental weight than positive feedback. Which is why it's easy to look at your business and remember what went wrong, but harder to remember what went right. Making a BIG DEAL and celebrating your successes gives some weight to the positive – it helps you make a memory of the good. Because here's the thing – one day you are going to feel run-down or overwhelmed or just cranky about your business and when you look back and wonder “should I keep going?”…if you don't have any positive memories (of celebrating good things), you're going to think there's no reason to keep going. You may slow down your business or stop altogether. You'll feel more burnt out. Celebrating protects against burn out, it protects against negativity bias, and it leads to your success… because success is built on not quitting. Keep going. It helps if you decide when you set a goal how you're going to celebrate the goal. Tell people! The people who love you and care about you want to celebrate with you! Let them in! Make yourself something you enjoy but don't have often – whether this is a special dinner, dessert, or just take a bubble bath, do something that brings you joy! Invest in yourself or your business – take that class, buy that book, set aside time to plan. Here's to a celebratory 2019! I'll be celebrating all along the way in my IG Stories, so be sure to join me there! Here's to more celebrations! Celebrating protects against burn out, against negativity bias, and leads to success! 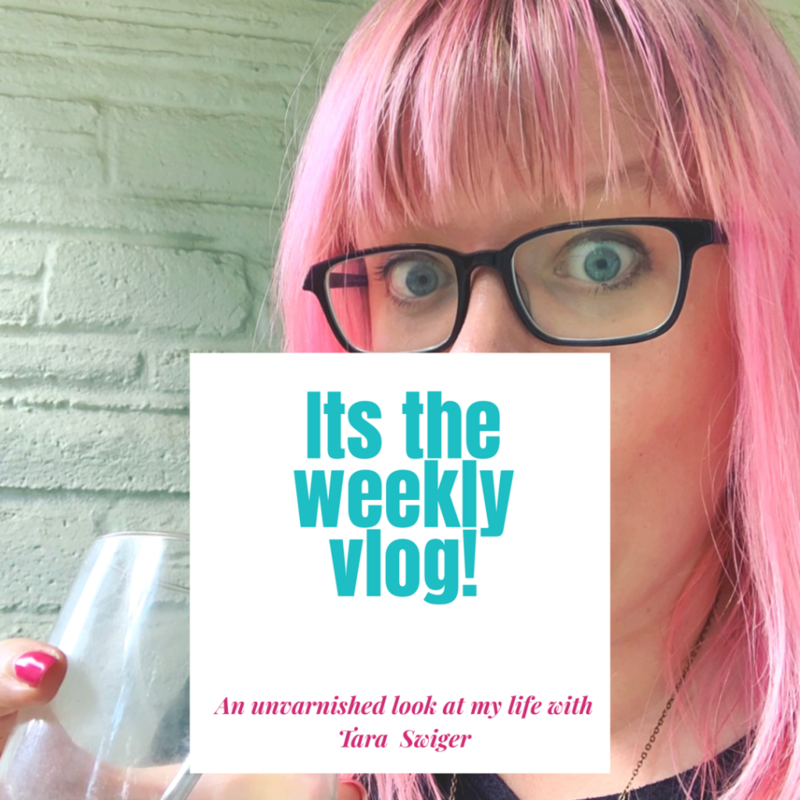 This week on the vlog I'm unboxing my monthly order from dōTERRA. Having a hard day? Me too! When I’m having a not-optimal mental health day my best tool is simple- a checklist! 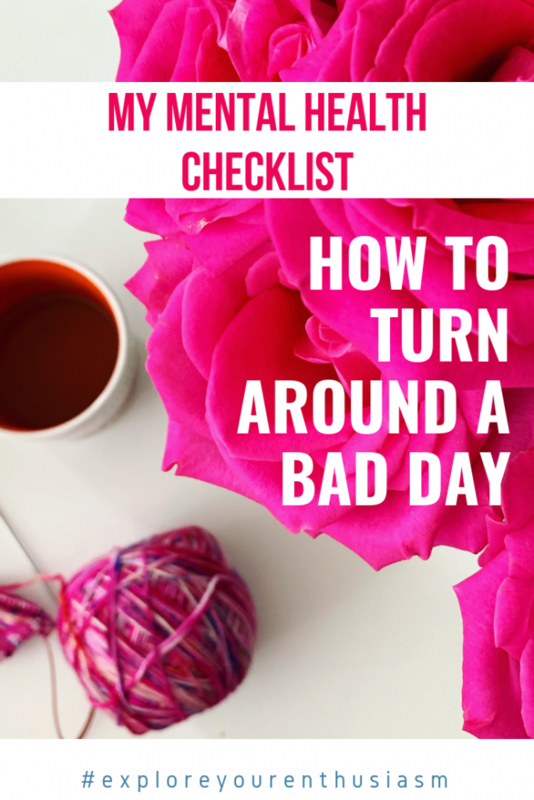 Today I’m sharing my own checklist & helping you make yours. ALL THE MENTAL HEALTH THINGS: Feeling hopeless? Get help! Now! Feeling awful? Before you give up, go through this checklist. This list is meant to give you ideas, not replace professional help. Sometimes the simplest tools can be the most effective. Love this checklist from @TaraSwiger! This week I'm showing you around the baby room and how we've updated it. Are you an introvert? Not sure? Think being an introvert is the same thing as being shy? We have a lot to talk about! Hi, I’m Stacey. I’m an introvert. I’m also tremendously talkative, self-confident and not the tiniest bit shy. Sound like a contradiction? Not really. In this episode, I’m going to talk about what an introvert really is, plus dispel some misconceptions. I’ll fill you in on the strengths of an introvert, as well as some strategies to cope with challenging situations. An introvert is someone who needs alone time to truly thrive. Interacting with people is often draining. Although being 100% introverted is rare, we all fall along the introvert-extrovert continuum. People with more than 50% introverted tendencies are usually considered introverts. What are great strategies for an introvert? 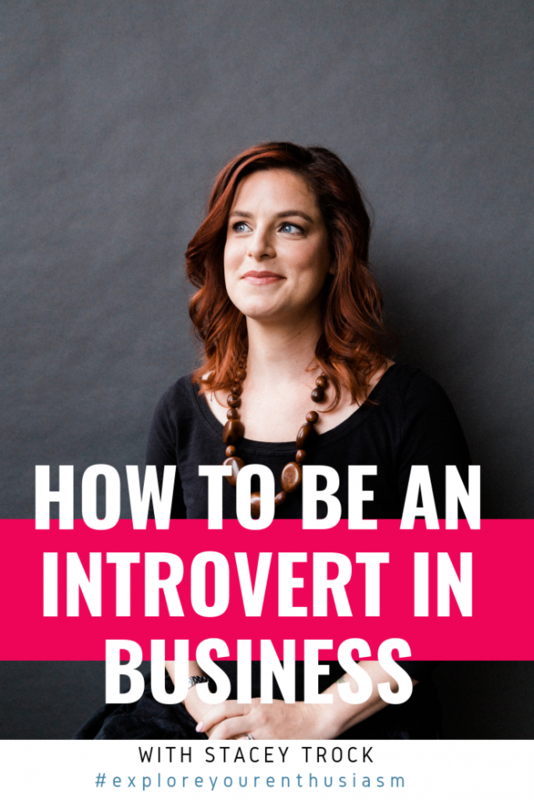 Contrary to what you may have been told, being an introvert gives you AMAZING skills for running your own business! You work well on your own, driving your business forward. And for every situation that presents challenges, there are fairly simple solutions you can implement. By the end of this episode, you’ll be on board with celebrating the joys of being an introvert! Stacey Trock is a consultant in brand management and social media. She helps small businesses engage authentically with their customers by developing both long-term content plans and live social media event coverage. 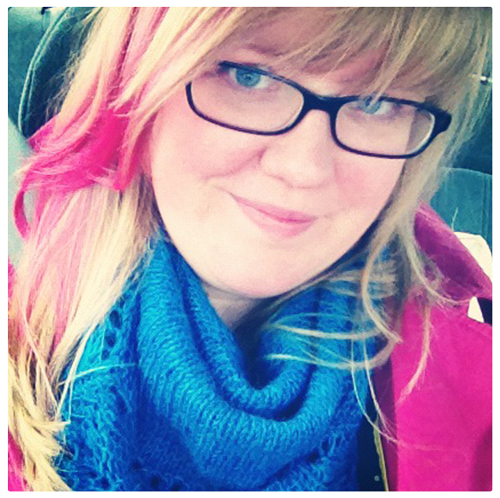 Stacey teaches and writes about business for Creative Live, Industry organizations and trade magazines. Such an amazing #ExploreYourEnthusiasm ep about using the power of being an introvert in business! 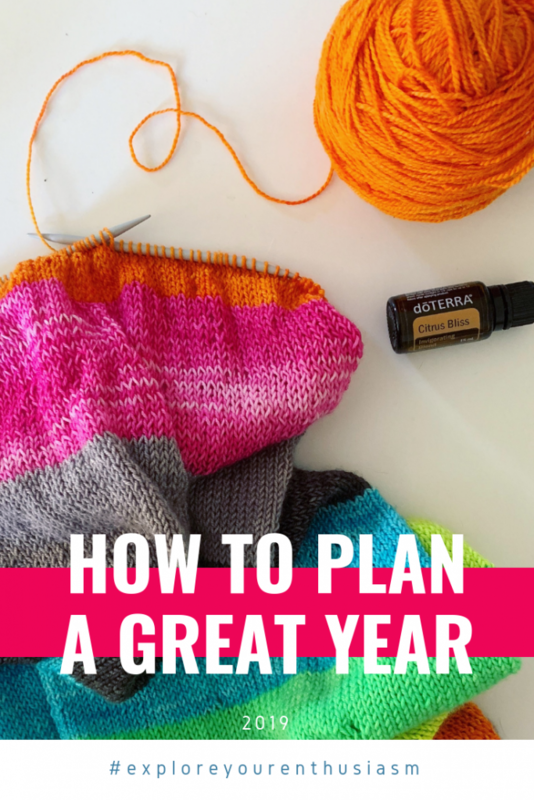 How can you plan to have the best year? Not just get everything done, but have a year you actually enjoy? It is both important to reach the goals you have set, and enjoy your time. What’s the point in building a business if you aren’t enjoying yourself? You’re never going to feel like you’re done in business. You’ll always be changing, growing, setting goals. THAT is what building a business is. So be sure that you enjoy the process of moving towards the goal, as much as you think you’ll enjoy actually reaching the goal. How do you want to feel as you work on your goal? How do you want to feel when you reach your goal? (Check out the Desire Map for more on feelings + goals). You can bring these feelings into your planning – how can you feel this feeling RIGHT NOW? It can be hard to plan, if you feel scared or compressed. So before you plan, get in a great mood. 2. Make a list of the things that make you feel how you want to feel. Don’t worry about how it integrates with your work, just make the list! You’ll start to generate ideas for how this will integrate with your work. 3. Review what worked last year. You aren’t starting from scratch, you already KNOW stuff! Remember what you learned last year, what worked and what didn’t, and be sure to apply it to this year. Everything is not equally important. Pick one thing that will help you feel the way you want to feel. Pick one thing that will make the biggest impact (first domino). And do that first. Need help getting clear on where you want to go and then turning it into an actionable plan? Map Your Business guides you through all of the tips above, and you end up with a doable plan, followed by monthly review and quarterly goal-setting. Can't wait to incorporate these tips into my New Years planning! They're a great reminder to stay focused!